A "ground-breaking" new method of analysing social media activity could produce the most accurate General Election forecast of the 2015 campaign, according to Professor Steve Schifferes of City University London. The former BBC General Election Producer believes the technique, which uses data from Twitter, offers deeper insights into public views than traditional analyses. Working with computer scientists at the University of Warwick and Information Technologies Institute (ITI-CERTH) in Greece, researchers from the Department of Journalism at City helped to design and test the method and identify how media coverage of the election affects social media activity. Daily predictions of voting share, commentary on the results and an overview of the study can be found at www.electionprediction.eu. Updates are also being posted on Twitter: @ElectiontrackUK. The algorithm harvests political tweets and aggregates various features about every party, injecting this information into conventional polling reports. Data includes the number of users mentioning a political party and the number of users who have expressed positive or negative opinions about a party. 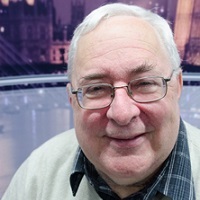 University of Warwick researcher Adam Tsakalidis developed the core of the prediction model and successfully tested it in the Greek election in January, achieving better results than all polls ahead of the election, as well as the three exit polls. The model was also successfully applied in three different countries in the 2014 EU elections as part of the SocialSensor research project. As well as predicting the percentage of votes each party will win, the system also offers crucial insights into how public opinion develops and the factors that might influence changes in support. Early results of the system have already tracked the surge in support for the SNP and the fluctuating fortunes of UKIP and Liberal Democrats. Adam Tsakalidis says extracting meaningful features from "noisy" user-generated content on Twitter has been tried in the past, but with varying results. However, he is confident his team has developed the most effective model yet. Symeon Papadopoulos, a researcher at ITI-CERTH, also claims no "reliable" system for analysing social media in this way has yet been created. The three-year SocialSensor research project saw 12 organisations from across Europe come together in a €10 million EU-funded scheme. The aim of the research was to collect, process, and aggregate big streams of social media data and multimedia to discover trends, events, influencers, and interesting media content. 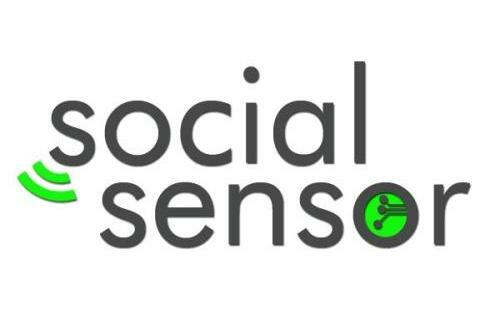 For more information, visit www.socialsensor.eu.